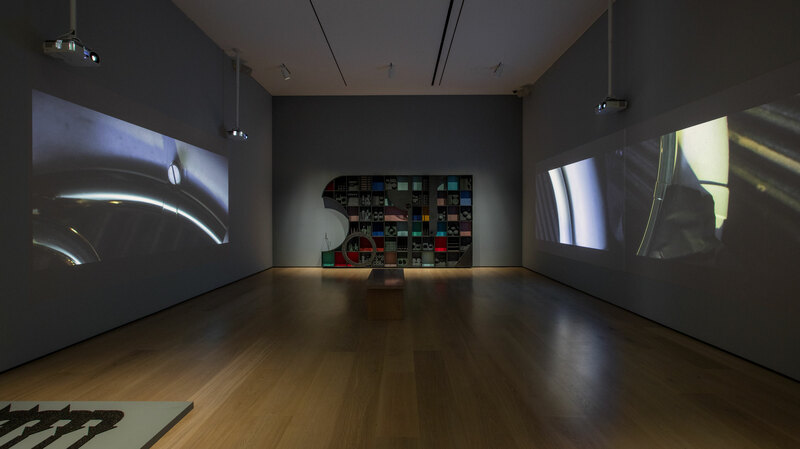 Alison O'Daniel, Still from The Tuba Thieves (left), 2018. Second Personage and Her Eyelashes (right), 2018. 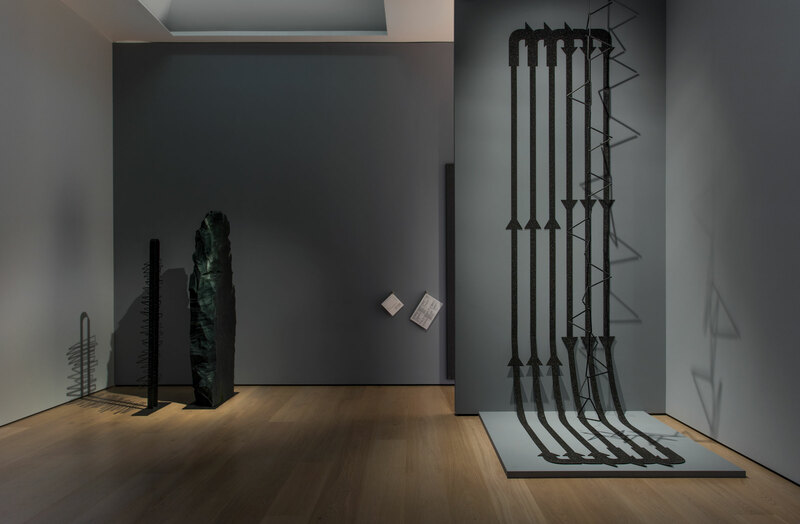 Alison O'Daniel, Second Personage and Her Eyelashes (left), 2018. The Path of the Zamboni, 2018 (right), 2018. Alison O'Daniel, There Is No Mathematical Logic. We Unfold Somehow (center), 2018. 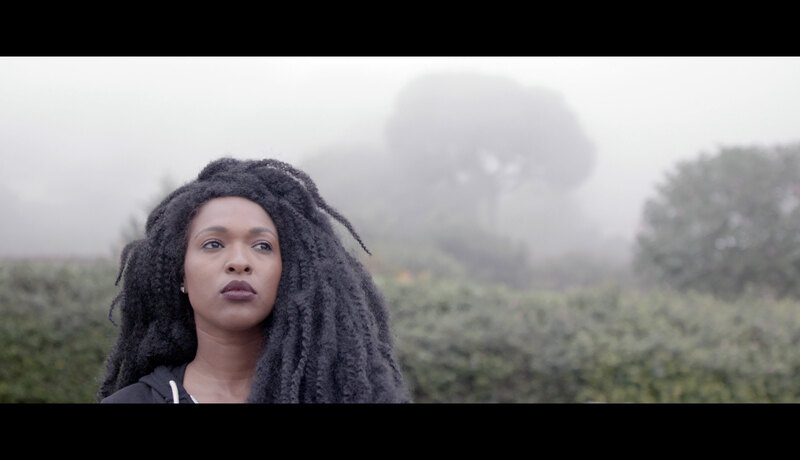 Stills from The Tuba Thieves (left and right), 2018. Alison O’Daniel’s The Tuba Thieves was inspired by an unlikely crime: a spate of tuba thefts from a number of high school marching bands in Los Angeles. The slowly unfolding feature-length film, which she has been shooting since 2013, is a portrait of music and silence built around events both historic and mundane. O’Daniel, whose binaural hearing loss requires her to wear hearing aids and lip read, saw the removal of this tonally rich instrument from the band as analogous to her daily experience of missing parts of conversations and having to fill in the gaps. The Tuba Thieves offers an alternative to linear narratives by anachronistically presenting a range of spaces and events that highlights acts of listening and aural transformation. 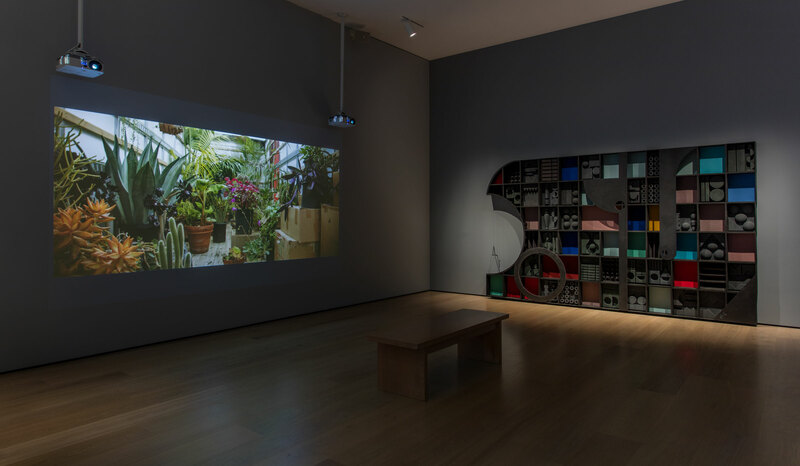 The installation switches between scenes that refer to the original thefts and several fictionalized narratives, many featuring deaf drummer and performer Nyke Prince. 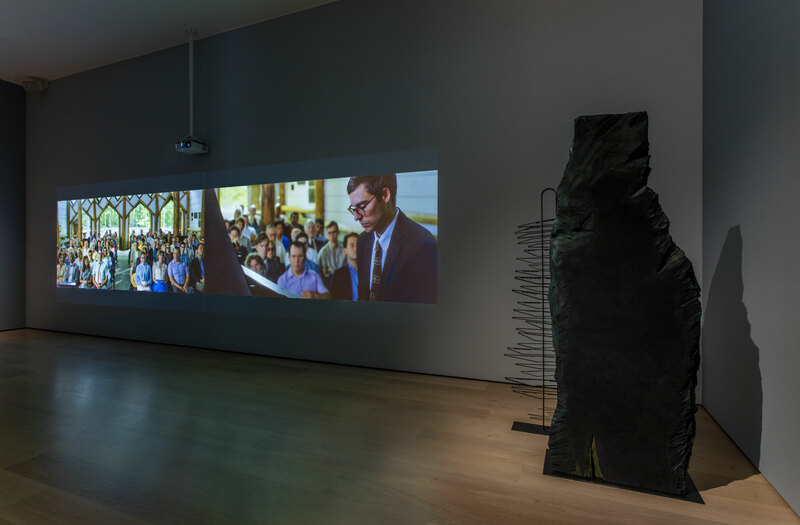 The film also revisits two historically significant concerts: the premiere of John Cage’s highly influential composition 4’33” in Woodstock, New York, in 1952, and a punk concert at San Francisco’s now defunct Deaf Club, in 1979. O’Daniel reversed the usual process of filmmaking by starting with finished pieces of music and writing scenes based on the compositions. She asked deaf sound artist Christine Sun Kim, hearing painter and musician Steve Roden, and the late hearing composer Ethan Frederick Greene to respond to several aural and visual references, including news accounts of the tuba thefts, concert hall architecture, the eyelashes of the late sculptor Louise Nevelson, and patterns a Zamboni makes on an ice rink. For Made in L.A. 2018, she presents the most ambitious version of the project to date, with three new sculptures made from materials that include acoustic foam and carpet, and thus reflect and absorb sound. O’Daniel makes us cognizant of the many nuances of sound and how sound interfaces with our other senses, while also revealing the often hidden politics inscribed within a culture that takes hearing for granted and elevates the visual over the aural. Alison O’Daniel (b. 1979, Miami, Florida) works in Los Angeles. She received her BFA from Cleveland Institute of Art, in 2003, and MFA from University of California, Irvine, in 2010. She has exhibited, screened, and performed at the Ford Theater with FLAX French Los Angeles Exchange (2018); Los Angeles Municipal Art Gallery (2017); Art in General, New York (2016); Hammer Museum, Los Angeles (2016); The Drawing Center, New York (2016); Top-kino, Vienna (2016); Centre d’Art Contemporain Passerelle, Brest, France (2015); Aspen Art Museum (2016); LA Louver, Los Angeles (2013); and Samuel Freeman Gallery, Los Angeles (2013). She has completed artist residencies at Wexner Center for the Arts (2014), Fine Arts Work Center (2012–13), Skowhegan School of Painting and Sculpture (2007), and others. She has received several awards and honors, including a Rema Hort Mann Foundation Grant (2014), Center for Cultural Innovation Grant (2013), Art Matters Grant (2012), Franklin Furnace Fund Fellowship (2012), and California Community Foundation Emerging Artist Fellowship (2011).